The Bureau of Labor Statistics (BLS) reported employment gains far exceeding even the most bullish expectations Friday. Preliminary numbers indicate that payroll employment increased by 287,000 in June. US stocks climbed to highs on the news with the Standard and Poors 500 index closing at 2,129.90. US Bonds surged to all time highs Friday on BLS reports that the number of unemployed individuals in the US increased by 347,000. The Unemployment Rate advanced 0.2% to 4.9%. The 30 Year Bond Yield Index (TYX) closed at 21.10 (2.11%). Levels not seen before. 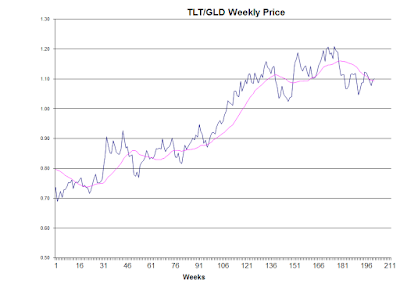 Exchange Traded Fund (ETF) TLT, an easy way to trade bonds on the stock market, closed at an all time high of 143.60. Not to be left out of the party, precious metals, although they sold off initially when the employment news was released, quickly reversed and closed at multi-year highs. 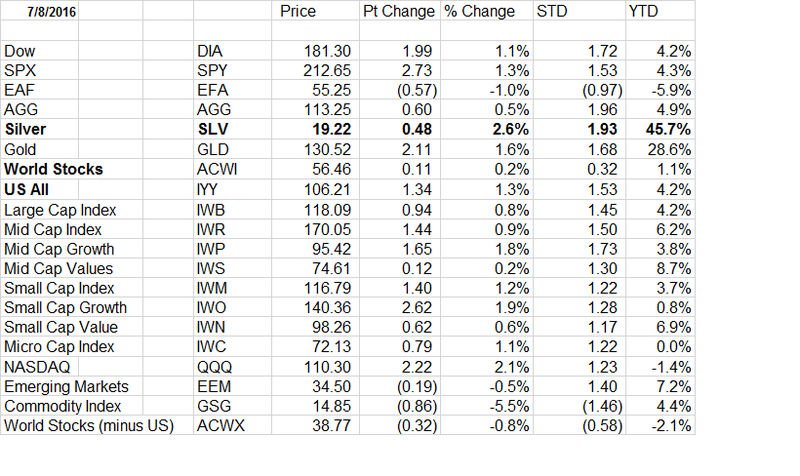 SLV, one of the ways to trade silver on the stock market, ended the week at 19.22, up $0.48 or 2.6%. All in all, most things did well with the exception of European and Latin American stocks and commodities (not including precious metals). This all comes as no surprise. As mentioned last week, the jobs number didn't really matter. Central banks, unable to get any kind of inflation going, are desperate to stimulate the economies and continue to print more and more currencies in an effort to do so. It's not really working but the extra added juice sure does some good stuff to the markets. For a few years now, I've been accumulating physical gold and silver even as I watched prices fall, seemingly forever. It's not easy for most people to look at physical things like precious metal bullion coins and not think of them in terms of their worth in dollars. The trick in the understanding is to realize that since 2008/2009, the Federal Reserve has increased the money they have created from around $800 billion to over $4 trillion, nearly a five time increase. Local banks, through the fractional reserve system, create additional multiples of this amount. When you understand how much new money has been created and then consider that there is absolutely nothing that backs this currency, a prudent person would be thinking "I've got to turn this worthless currency into a hard asset as soon as I can." As I am always talking about gold and silver to people, the one thing I hear all the time is, what good is it? You can't eat it. They can't conceive that the US Dollar could be as vulnerable to devaluation as the Russian Ruble or the Mexican Peso. The truth is, any paper currency is only worth what others accept it to be worth. If a dollar crisis were to occur, something similar to what continues to be happening in Greece, one needs some form of money to transact daily business with. Who knows how it can or will play out. Throughout much of civilization, silver has been used as a currency and perhaps someday, it will again. 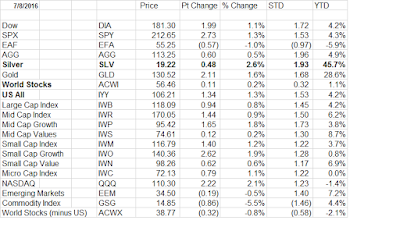 If it were today, and the stock market was priced in silver, this is how it would look. So while the stock market may be going up and even making new all time highs, remember, when we are looking at price charts of the market, it is soaring based on purchases made with paper money that has no real value. It was created from nothing, with no assets backing it up and is being used in unlimited quantities to keep pushing stock prices higher. But the stock market, when priced in terms of something that has an intrinsic value, like silver, is in a Bear Market. 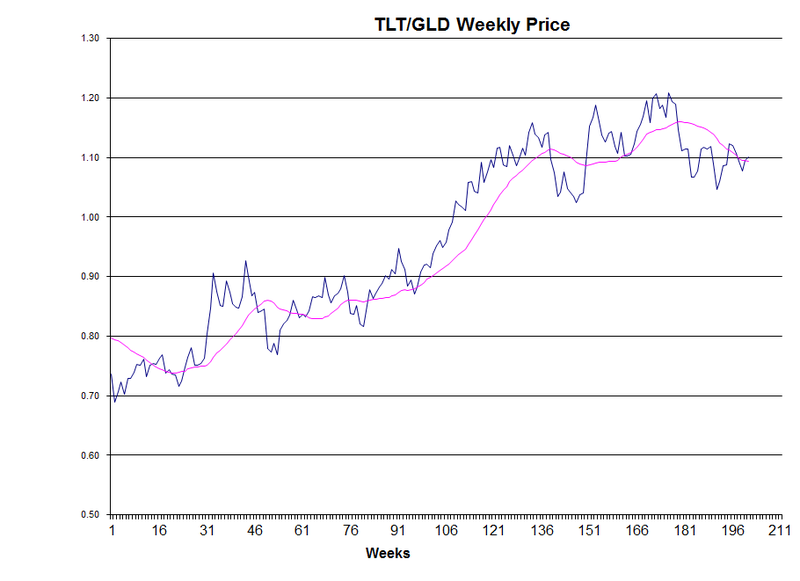 Looking at bonds in terms of gold, this is breaking down as well. Don't let surging markets influence your buying decisions, Central Bankers can create the illusion they wish to create. If we do our homework, we can catch a glimpse of reality.